Just a few days ago, it was reported that Warner Bros. was working on a reboot of sci-fi franchise The Matrix, with Zak Penn (Ready Player One, X-Men: The Last Stand) in talks to write the script. Now Penn has taken to Twitter to hint that the new Matrix he’s working on right now is (by process of elimination) either a direct sequel or a prequel. Look at what people are doing with Xmen universe. Between Logan and Legion and Deadpool, does anyone want them to stop? Not me. How about just re-release the matrix? Don’t reboot it, you can’t do better. If I were going to recast Keanu Reeves, I would cast Keanu Reeves. So the big takeaway from these tweets is that the script he’s working on is A) not a reboot and B) has great respect for the films, games, anime and comics that The Wachowskis created. Those who are familiar with the films know that at the end of Revolutions it indicated that the entire story that played out over the trilogy was itself a “reboot” of a simulation that’s been playing out over and over. 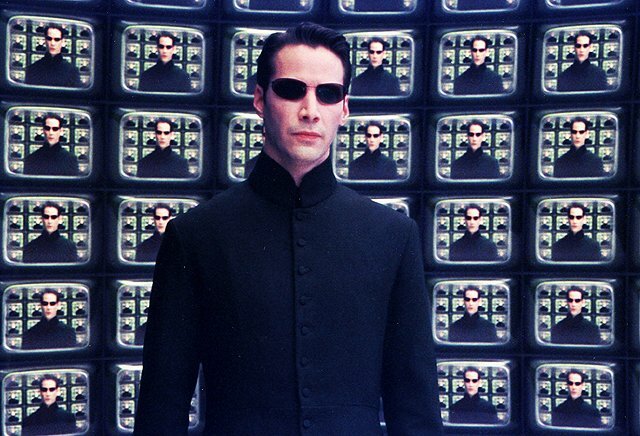 At the end of that film, humans were going to be granted a choice of either staying in The Matrix or living in the real world, and it was hinted that Reeves’ Neo could return. The studio is reportedly looking at Michael B. Jordan (Creed, Fantastic Four) to star, but it’s early days yet. The original film came to us from The Wachowskis and is considered a landmark of the sci-fi genre. It was known for its groundbreaking effects that have been endlessly copied over the years. At this time, the Wachowskis are not involved with the project. The film was released back in 1999 and gave us an effect known as “bullet time,” the slow-moving action that showed bullets slowly moving during the heightened perception of the main character. The term was used in the script for the first film and is now trademarked by Warner Bros. The Matrix is the story of Neo, played by Keanu Reeves (John Wick, Speed), a hacker who is brought into the “real” world, learning that what we perceive as reality is actually a computer program. The Matrix also starred Laurence Fishburne (Mystic River, Batman v Superman: Dawn of Justice and Carrie-Ann Moss (Jessica Jones, Memento). There were two sequels for The Matrix; The Matrix Reloaded in 2003 and The Matrix Revolutions released six months after the first sequel. The Animatrix was an animated anthology based on the film series and was also released in 2003. There have been numerous video games, anime and comics in the franchise that have continued the story. How do you feel about a new Matrix as opposed to a Matrix reboot or remake? Sound off in the comments or tweet us @ComingSoonnet.